The journey began in 1964 when founder Peter Spall introduced the first “Spall-Ball”. An iconic laceless leather football which was available for purchase to the general public. During the late 1960s brand diversification became very popular into bespoke team kits, making Spall a force to be reckoned with. 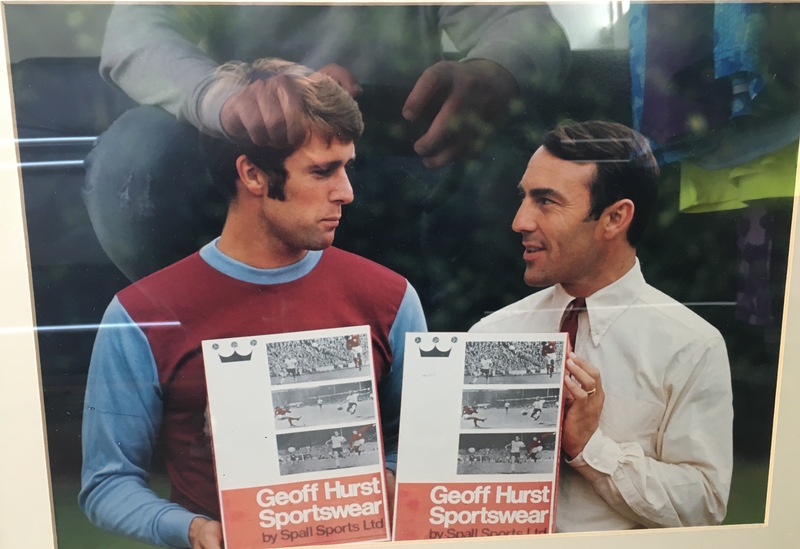 These ranges were endorsed by football legends at time, for example Geoff Hurst who at the time had his entire range made by Spall. 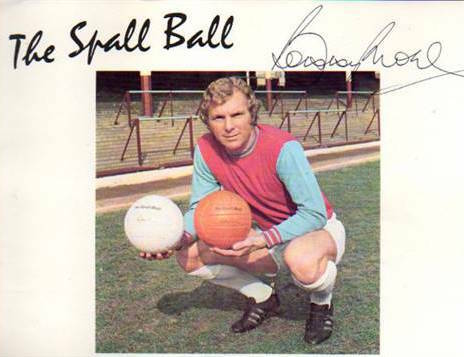 Bobby Moore was one of the first be elected to endorse the Spall name. Being one of the iconic English footballers at this point in time, and one of the most memorable to ever play the beautiful game. As Bobby Moore was captain of the England team during the historic 1966 English world cup win, he was the perfect man for the role. 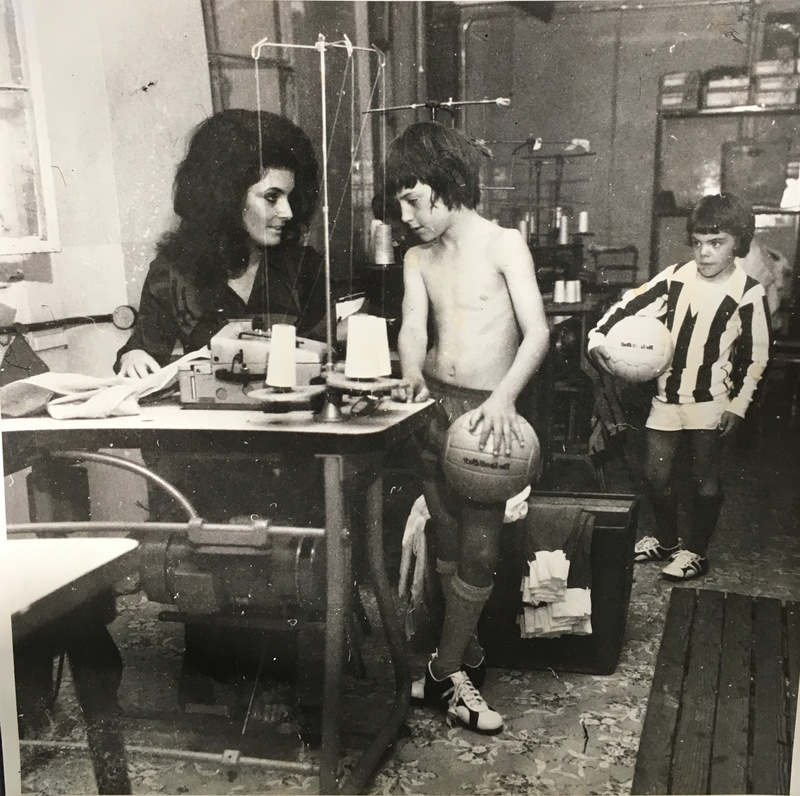 Between the 1970s Spall developed further as a manufacturer, producing more kits and ranges, and now supplying to all levels of clubs and teams. This led an increased turnover which in 1978 reached 50%. By the mid 1980s Spall was well on the road to success, but that still did not slow them down. 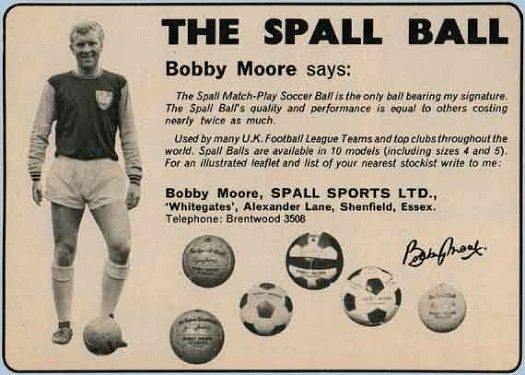 20 Years after the 1966 England World Cup Bobby Moore was again involved with the Spall team. Helping to perfect their kits and add a unique touch to make the kits stand out on the field. 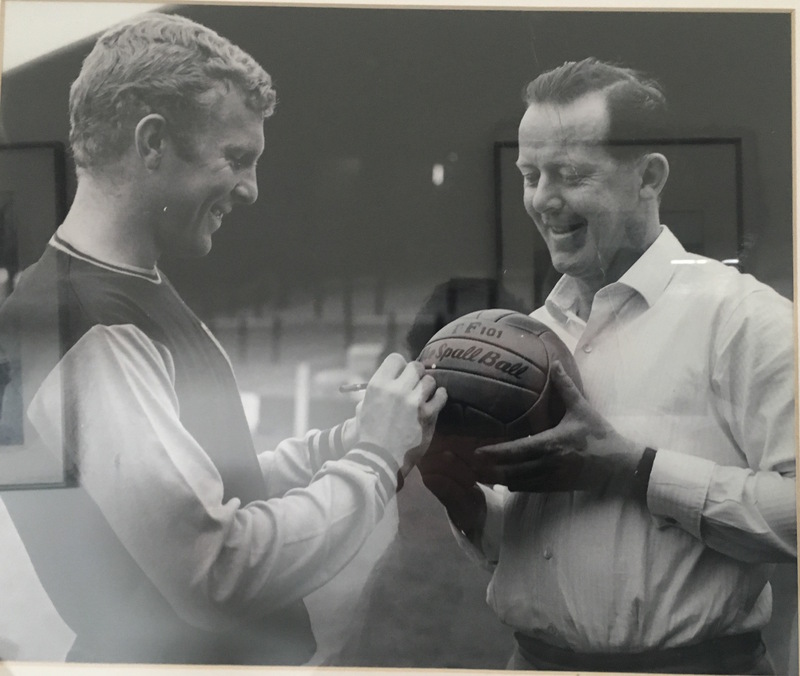 Here you can see the world famous Bobby Moore and Spall’s own Barry Spall measuring and altering a Southend shirt. 1988 was one of the most historical moments in Football Association, FA Cup History. Wimbledon, a small team which were considered the underdogs and had only even been in existence for roughly 10 years had managed to achieve the unthinkable. In 1988 Wimbledon had just defeated the Liverpool team who were the league champions at the time. As well as being FA Cup history, this was an iconic moment for Spall as the kit worn by Wimbledon in the 1988 Finals was created by Spall. During the early 1990s Spall began to expand in who they would be supplying and manufacturing for, expanding from just the big name professional clubs. 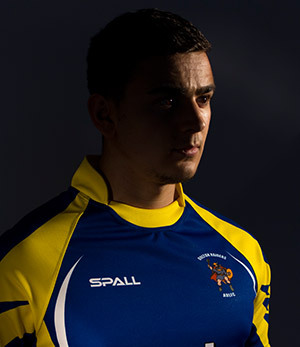 Spall began to supply to trade customers, opening up world famous Spall kits for amateur clubs for the first time. 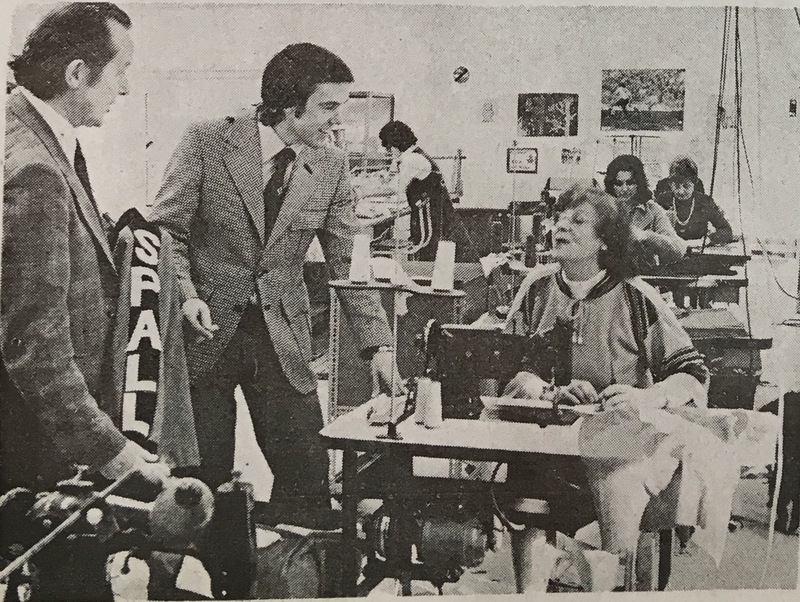 During the begining of the new millennium, Spall introduced brand diversification and for the first time started producing kits for other sports such as Rugby, Netball and more.